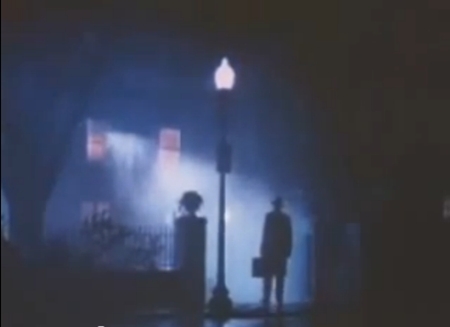 The Original Trailer for "The Exorcist" is Way Freaky! I was randomly surfing online when I stumbled upon the original theatrical trailer for the movie The Exorcist. According to online info, this trailer was banned by several theaters for being too scary. Note: If you get headaches or seizures when seeing flashing lights, you may want to skip viewing this video. Now THIS is how you make horror trailers! I love the use of sound and lights here. At the start, the sound is like a mixture of howling winds and someone whispering. The result is creepy but subtle. The flashing lights tease you by giving you brief glimpses of the monsters (the possessed Regan and the demon Pazuzu) then darkness to allow your imagination to dream up scarier stuff (something the brain is ridiculously good at). A well-made trailer for a well-made film. Now I know what to watch (again) this Halloween.